Who must take assessment tests? To assure the integrity of degree programs and a student’s ability to succeed in college courses, the West Virginia CTCS (Nov. 2010) established uniform standards for placement of students in college-level mathematics and English courses. Upon admission, all degree and certificate objective students are required to take course placement tests in reading, writing, arithmetic, and elementary algebra to assess their current skills if ACT/SAT scores are not available and/or do not meet requirements. Also, students not seeking a degree or certificate must meet these requirements before registering for any class with an applicable prerequisite. 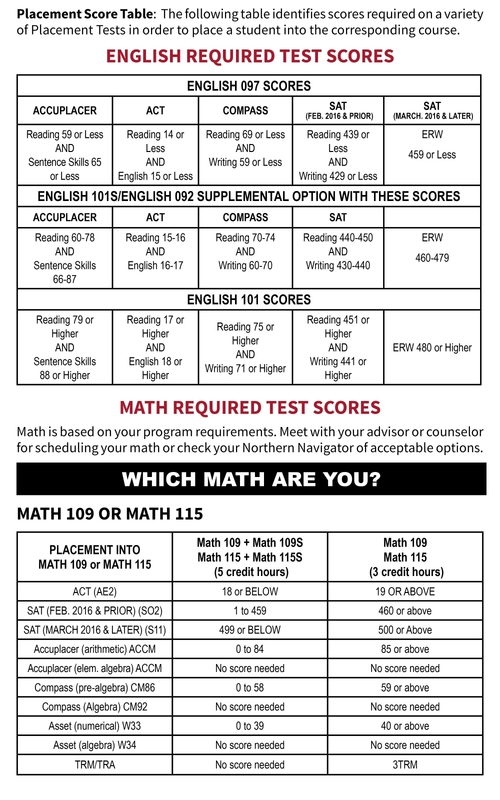 The table below identifies scores required on ACT/SAT tests (if available) or on ASSET, COMPASS, or ACCUPLACER Assessment Tests in order to exempt a student from the corresponding course. When does a student test? Students are required to take a placement test prior to registering for their first class to determine appropriate course placement(s). Students may retest in any of the required subject areas one time. Students must wait at least three days between testing and retesting. How is testing arranged? 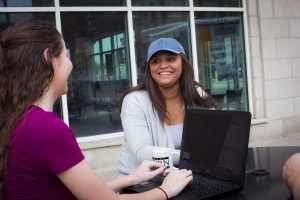 Group testing sessions are scheduled at a variety of times on each campus prior to the beginning of each semester to accommodate students’ needs. Information regarding placement testing is available online (see link below). Alternate testing arrangements can be made for students with documented physical or learning disabilities. The Accessibility Counselor can arrange necessary modifications to enhance the student’s chance for success. Isolated testing, having a test read to the student, or physical adaptations are examples of modified arrangements. How do Distance Education students arrange testing? Distance Education students are able to take the COMPASS test at a remote location near their home address. See the Online Programs/Courses page for details. Click here for information on preparing for or scheduling your ACCUPLACER Placement Test.